Wow that looks a great place to be! And it really is a great place! 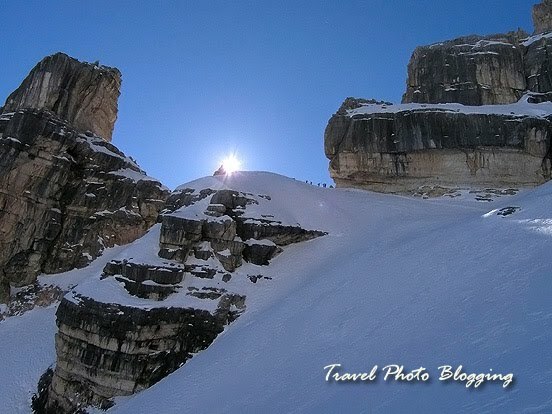 The whole Dolomiti region is simply breathtaking. If you take a close look at the photo you can even see a bunch of freeride skiers walking on top of the ridge, just right from the sun. I can only imagine the view from up there! What a stunning shot! Such natural beauty and wonder. Thanks guys! However nice, this photo doesn't do justice to the real thing. I hope you also make it to Dolomites one day.